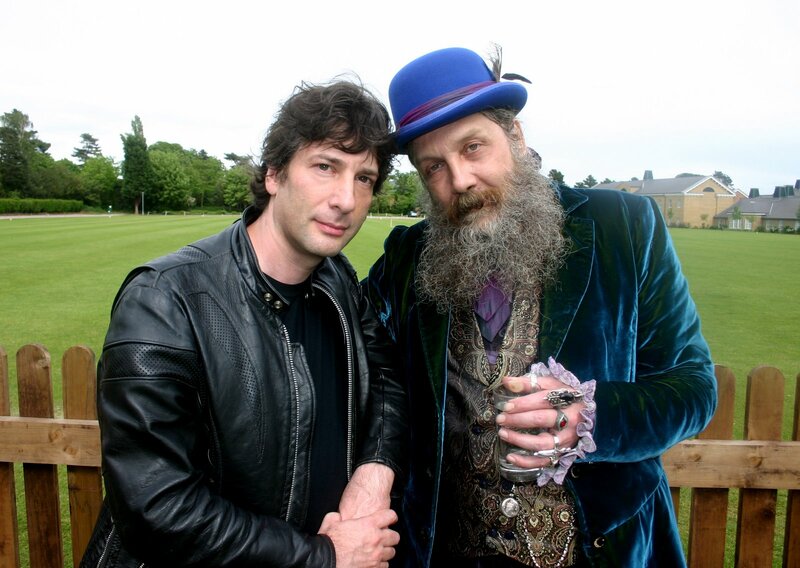 EDIT: This thread was originally started to post the below link to Neil Gaiman reading a story; however, I occasionally find a few other things that are relatively on the same level as that. Thus I'm grouping these nifty, little things together and changing the title. Just spreading the Neil love for the other fans that might read this (don't know if the Long Beach people will these days, but I'm sure there are others who read Gaiman's work). Harper Collins posted it from the audio edition of "Fragile Things." Vertigo, an off-shoot of DC, just posted a free download of Alan Moore's Swamp Thing #1. Alan Moore is an absolute master of storytelling in the comic book world with such titles as "Watchmen," "V for Vendetta," "From Hell," and "League of Extraordinary Gentlemen" and he was recently featured on the Simpsons along with indie comic hot shots Art Spiegelman (the "Maus" series in which mice are portrayed living through the Holocaust) and Dan Clowes ("Ghostworld," now a major motion picture). So anyway, talk of Alan Moore aside, if you haven't read any of his work before, here's your chance to read something of his for free. Neil Gaiman's asking people to vote on which book people would like to read that will be offered online, for a free for a limited time. Looks like American Gods is currently in the lead. Free ebook of John Scalzi's Old Man's War. You have to sign up for Tor's newsletter, but supposedly afterwards you can get the entire book for free online. American Gods is now being offered online for free. Check it out before it's gone. According to Neil, though, the last and second to last pages are switched.